Sonologyst is the Raffaele Pezzella solo project from Italy. It's based on the perpetual experiment in sound, looking back to early experimentation of the Fifties and Sixties, forwarding to the future possibilities of electronic and electro-acoustic instruments, with a special attention to the relationships between music and science, music and other art forms, including literature and modern mythologies. All Sonologyst’s pieces are almost completely improvised. That’s why he calls his music “experimental”, meaning that the result is unpredictable. His music oscillates between the scientific sonic documentary and the psychedelic abstraction. As Sonologyst, Raffaele Pezzella, is the curator of Unexplained Sounds Group, a multimedia platform created to investigate the current underground experimental worldwide music scene. Kshatriy is solo musical project founded on June 19, 2004 in Vsevolozhsk, Russia by Bulychev Sergey. The first step was a live gig in ESG-21. The name of the project reflects only memories of ancient society in which spiritual values were no less important than material ones. The music of 'Kshatriy' is based on drone style with ambient and noise elements, with no certain frames and accept any necessary sound sources...with delicate touch. Time is the Enemy is the latest collaboration between Sonologyst & Kshatriy. This 5-track album features a mature sound where stylistic developments are on the moderate and gradual side. In Unaltered Mind we find three themes running concurrently: The “Divine Mind” in the metaphysical sense, the Buddhist motif of an “Uncluttered Mind” and the cognitive interpretation of the mind as a body in constant exposure to internal and external stimuli. The Venus Smile shares its name and ethos with a JG Ballard short story published in a science fiction journal of the 50’s about an ornamental object that starts generating uncontrollable sounds. Self-Luminosity is a clear metaphor for what is known in Buddhist tradition as a “Luminous Mind”. Chronopolis borrows thematic references from Piotr Kamler’s film of the same name from 1983 where the character’s existence is not related to time. The last track, Time is the Enemy, is the most lyrical piece of the album and showcases Sonologyst & Kshatriy at their musical best. In summary, this is an accomplished work with the recurrent theme of time as its main focus and a seamlessly shared vision by two artists in control of their medium. We then move to the three cassette releases, and the first one is a collaborative effort by Sonologyst, also known as Raffaele Pezzella from Italy, and Bulychev Sergey's project Kshatriy. From the latter we have reviewed some works and from Sonologyst just one, quite recently (Vital Weekly 1038) and I quite enjoyed that one. It seems to me that this a match well made. I am not sure how this was made, but my best guess would this is some of kind 'music by (e-) mail' collaboration, of exchanging long form sounds, adding more effects to these sounds and/or putting field recordings and acoustic sounds on top. I am merely guessing, judging by the music I hear. Whereas Sonologyst's first release that I heard sounded a bit more like the serious electronic music from a few decades ago, that is something that is not present here. Here we find the more gentle sound treatments that lead to massive drones, via the route of reverb. Everything is soaked with it, but the outcome is quite all right; it is something one expects I guess and this fulfils that need to quality drone music. 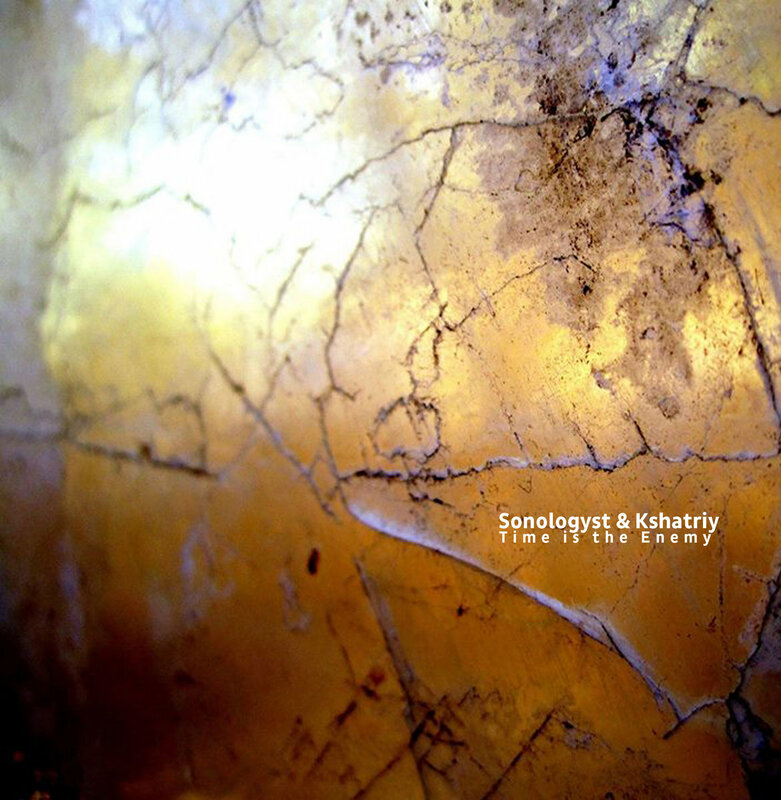 This release from Sonologyst, the project by Raffaele Pezzella based on the development of early electronic experimentation, and Kshatriy, the project by Bulychev Sergey based on drone music, is as traditional as avant-garde. From a musical perspective, it's exactly what's expected: the juxtaposition of drone music and electro-acoustic one but the equilibrium of writing is able to create a dialogue between the two forms which are complementary in nature. While drone music is rooted in stillness, the tradition referred by Sonologyst is based on a sort of perpetual movement and therefore, if it's not trivial, it escapes from the pit of the forms. "Unaltered Mind" opens this searching a balance between background noises, high pitches and deep drones and evolves altering this equilibrium letting emerge one of their components. "Venus Smile" is based on the juxtaposition of various drones upon a subtle background of small noises. "Self Luminosity" is focused on the dialectic between a drones and the background sounds. The slow development of "Chronopolis" reveal the sense for the details of the composers and "Time is the Enemy" closes with an use of synth and a sense of aural space which reveals a vague reminiscence of kosmische musik. Another example on how already codified forms could be drown into modernity without any nostalgia but retaining that spirit of adventure into new musical paths. It's really worth a listening. Für Time Is The Enemy (ACT 1039, C-45) haben sich SONOLOGYST & KSHATRIY kurzgeschlossen. Der neapolitanische Sonologe, der vom Schlaf der Vernunft und von luziden Träumen eine höhere Klarheit erwartet, hat mit Sergey Uak-Kib aus Wsewoloschsk (im Oblast Leningrad) einen Mykologen und Somnologen an der Seite. Mit Hilfe der Venus ('Venus Smiles') versuchen sie Chronos die Herrschaft über 'Chronopolis' streitig zu machen, indem sie ihn mit sonoren Dröhnwellen besänftigen und verführen. Von der Zeit und von Venus als den höchsten Mächten und als Komplizen, die in wechselseitiger Abhängigkeit durch Myriaden kleiner Menschenopfer verbundenen sind, hängt, wie Roberto Calasso in "Das Rosa Tiepolos" aufgezeigt hat, die ganze Welt der Erscheinungen ab, hängt einfach alles ab. Wir Erscheinenden, wir Chronopolitaner, wir können das Arcanum entschleiern (wie Sonologyst, der dauernd über 'Sein Und Zeit' spekuliert, es mit 'Beyond the Veil' angedeutet hat). Oder so gut es geht auf diese Schleierleinwand ein wenig Rosa und funkelnde Poesie projezieren, um mit Klingklang oder wenigstens als Kette kleiner Fürzchen dahin zu treiben auf den dröhnenden Falten und rauschenden Wellen des Scheins, bis schließlich doch die Sichel knarzt. 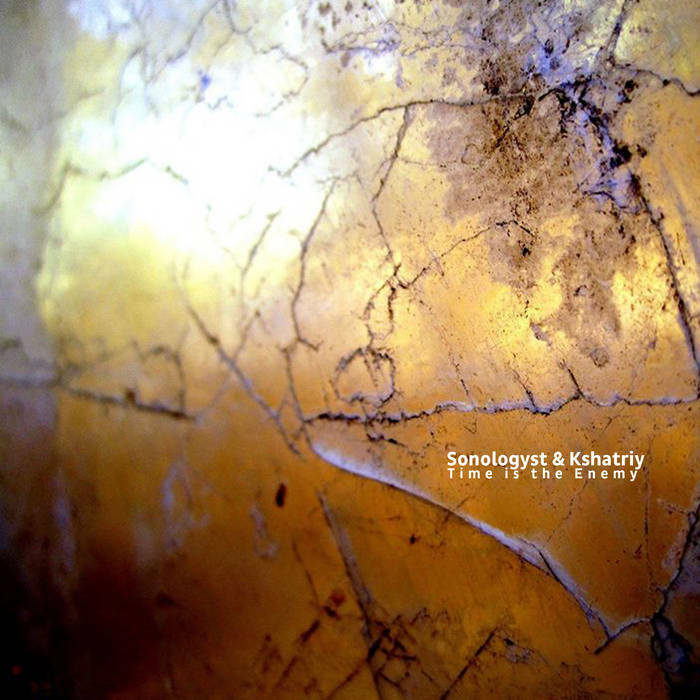 ”Time Is The Enemy” is extraordinary collaboration between Sonologyst and Kshatriy. Sonologyst is the solo project of Raffaele Pazzela, enthusiast who based his sound around experiments from fifsties and sixties with modern school of electro acoustic art. Kshatriy is the solo project of Sergey Bulychev, brilliant russian native and sound artist. ”Time Is The Enemy” comes up with five distinctive tracks with interesting titles such as ”Unaltered Mind”, ”Venus Smile”, Self Luminosity”, ”Chronopolis” and album titled ”Time Is The Enemy”. The most interesting thing about this collaboration are it’s dynamics, melody and repetition during each track. 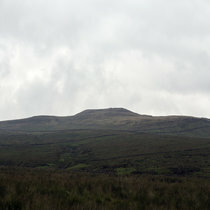 Tracks are mostly based on one melody which is repetative from begining to an end, but it doesn’t sounds like some boring ambient or drone track. Layers of vocals, violin alike tones, white noise and creepy ambience are added as the time goes by and the whole idea of the album title reveals itself through beautiful cacophony. Your listening experience may vary of your sound system, since the whole album is well produced with all layers of sound being present at one time without spoiling one another. ”Time Is The Enemy” is released by Attenuation Circuit and it’s already sold out, but you can purchase it digitally and by that you will support both artists and the label.